If you assume on-campus housing is the best deal, you might want to take another look. Affordability differs from city to city, but in most, off-campus is where the deals are. Let’s face it, college is expensive these days. No matter where you go to school, the price of tuition, fees, books, and transportation add up. But there’s one place that you might be able to save big: housing. Trulia economists crunched the numbers behind housing affordability on the biggest campuses in America to compare on- and off-campus living spaces. The results were nothing short of surprising. While rents are rising, so is the price of living on campus. “In 28 of the 48 places we looked at, it was either the same price or cheaper to be off-campus with an average savings of $219 per month with a roommate,” says Trulia economist Felipe Chacon. Where can you find the best deals? Read on. In College Town, the neighborhood that borders FSU, residents are paying more for rent than they used to. Rent went up 6 percent between 2012 and 2018. But they’re still saving $282 a month by opting for off-campus housing for $593 a month compared to $875 on campus. You can make your budget go further if you want to hang out on W. Gaines Street, the popular entertainment district for the college crowd. Between the free concerts offered at the amphitheater at Cascades Park and value menu at Gumby’s Pizza, you can have fun on the cheap in Tallahassee. Home to the University of Wisconsin – Madison, this popular Midwestern city has experienced a boom in the tech, healthcare, and manufacturing industries in recent years, creating plenty of career options—and competition for housing. Overall, rents have increased by 9.5 percent between 2012 and 2018. The hot rental market all but erases the difference between on- and off-campus housing: At $865 for off-campus rental and $866 for campus housing, you can make your decision by flipping a coin. You can almost see the split between students and professionals by a visit to two popular streets: Monroe Street, which has Trader Joe’s and boutique restaurants, and Regent Street, where you’ll find pubs and pizza joints. But in either location, you can enjoy a little more grown-up living than in many student-heavy neighborhoods. Both Madison’s Regent and Dudgeon-Monroe rate high for safety, tidy yards, walkability, and dog-friendliness. With a campus made up of more than 150 research centers and institutes, not to mention a popular sports program, the University of Florida is the backbone of Gainesville. Rents have increased by an incredible 18.4 percent between 2012 and 2018, and the types of rentals available off-campus tend to include more standalone homes instead of big apartment complexes. Sharing your part of a two-bedroom would cost $641 on average. When compared to the on-campus estimate of $687 (which doesn’t include food), it costs you $46 more per month. 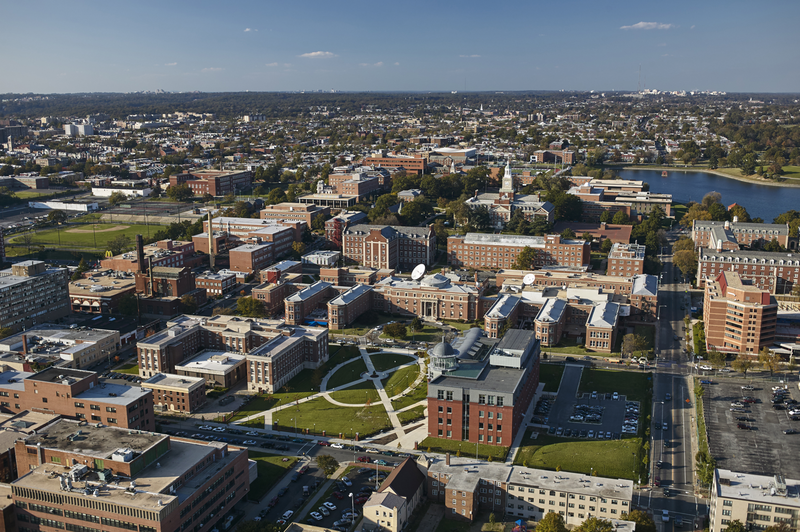 There are other perks to off-campus living if you’re in the College Park neighborhood; locals say it’s easy to find parking, walkable to things to do, quiet, and 100 percent say they feel comfortable walking alone at night there. As you can guess by the name, College Station, the home of Texas A&M University, is positively packed with students. Nearly half of the population is in college (44.9 percent), which explains why the median age here is 24. The University also is the city’s largest employer, creating plenty of post-grad employment opportunities—which could contribute to rents going up 16.8 percent between 2012 and 2018. Still, those market rates are a good deal for students. If you’re looking to stay off-campus, your part of a two-bedroom rental would cost $760 versus $875 on-campus (without food), saving you $115 per month. One unique aspect of the off-campus housing search in College Station is that there are buildings that are designated for student living and structure their properties accordingly. For instance, Rise at Northgate, a luxury community that’s practically on-campus, charges by the bed instead of the unit. Also, keep in mind that College Station’s Texas climate isn’t exactly amenable to walking outside (only 1 percent commute by foot), so calculate in transportation costs. Tempe is home to Arizona State University, a surprisingly lush campus surrounded by an arboretum downtown. Like many of the cities on our list, rent has trended upward between 2012 and 2018, increasing by 18.2 percent. Your part of an off-campus two-bedroom would set you back $825 versus $861 on campus (without food), which saves you $36 per month. Of course, newer apartments in the city’s more modern complexes near campus are priced far higher, but looking slightly to the east of campus will yield more affordable rents. A two-bedroom apartment at The Hyve is $1,448 (or $724 per roommate) and is about a half a mile east of campus. And the lower prices don’t mean compromising on lifestyle; the modern finishes and luxury amenities like a pool and gym prove there are great off-campus deals to be found in Tempe. 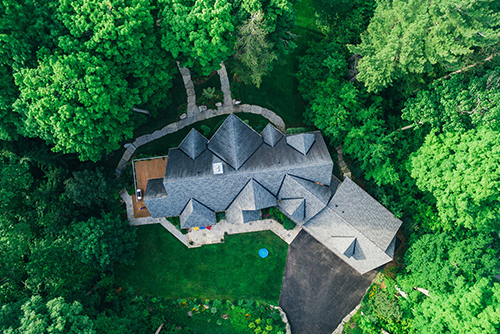 The University of Michigan is one of the top-ranked universities in the world, and its home of Ann Arbor was declared the “Best College Town in the U.S.” in 2018 by Forbes, so it’s no wonder demand for housing is so high in this relatively small Midwestern city. Rents increased 14.3 percent between 2012 and 2018, and they were pretty high to begin with. The biggest change has come to two-bedrooms (they’ve increased by 33 percent). Your part of a two-bedroom would be $1,193 versus $1,222 on campus (including food) for a difference of only $29. The good news for on-campus living in Ann Arbor is that the university and city are super close together. That means you’re right in the middle of the same arts, food, and culture everyone living in the uber-expensive Kerrytown and South University neighborhoods enjoys—unless your dorm is on North Campus, which is, admittedly, a hike from downtown. If you’re looking for a deal, rental prices go down the closer you get to nearby Ypsilanti, where the median rent drops by more than a third, but note that you’re in for a long bus ride to campus. Thanks to Brigham Young University, this scenic mountain city hasn’t escaped the trend of higher rents in college towns. Provo‘s rents increased 22.4 percent between 2012 and 2018. Young families and college students could be making two-bedrooms particularly in demand, as these units have increased in price by 24 percent. As a result, your part of the rent on a two-bedroom would be $693 versus $417 for on-campus housing. Opting to stay on-campus would save you $276 per month. But if you have your heart set on off-campus life, consider focusing your search on Joaquin, the neighborhood bordering the south side of Brigham Young University. Here, locals praise the walkability, holiday spirit, and dog-friendliness, and you can rent a two-bedroom home for $875 total. Overall, it’s an affordable, family-friendly area that feels a bit different than other college cities. The home of the University of Indiana – Bloomington feels like a small town, despite its 80,000 residents. Life revolves around the academic calendar, and there’s a petite downtown tailored to appeal to college budgets with affordable cafes, fast-food restaurants, coffee shops, and pubs. Bloomington is the rare entry on our list where the rent has actually decreased between 2012 and 2018, at a rate of -4.7 percent. The savings between off- and on-campus housing can differ, but on average, you’ll pay $733 for your half of a two-bedroom off-campus compared to $774 on-campus (without food). The University of California – Berkeley is another of the highest-ranking universities on the globe, and it has plenty of other things going for it, too: The campus is gorgeous, the weather is always great, and it’s right next to downtown Berkeley (home to some of the best food in the entire country). A low cost of living, however, isn’t one of the benefits of living in this college city. Rents are very, very high, increasing a whopping 43.5 percent on average between 2012 and 2018. Your part of a two-bedroom is a steep $2,263 versus the on-campus cost of $1,861 (without food). Though both figures are the highest on our list, on-campus is still $402 cheaper. Want to save more? Get ready for a commute. “To get anywhere near the on-campus rate, two roommates would have to look south 10 miles to Oakland‘s 94621, or 5 miles north to El Cerrito‘s 94530, which would cost $1,696 and $1,875, respectively, before utilities and transit costs,” says Chacon. Fort Collins is home to Colorado State University, as well as picture-perfect natural features like waterfalls and mountains. Rents in the highly livable community have increased 24.6 percent between 2012 and 2018, though you still might be able to save a few bucks by living off-campus. Your portion of the rent for a two-bedroom costs, on average, $1,026 compared to the estimated on-campus cost of $1,444 per month (a figure that does include food, however). The $418 you’ll save living off-campus will cover plenty of visits to Totally ’80s Pizza, home to the only ’80s museum in the world. Wondering where to look for your new, affordable place? Try Old Prospect, a neighborhood across South College Avenue from Colorado State University. It’s just a short bike ride away from the Old Town historic district, where you can browse shops in restored 1800s buildings. Some even compare the quaint area to Disneyland’s Main Street U.S.A. Consider the price of utilities and meals. On-campus housing often bundles these costs in, while off-campus usually means everyone fends for themselves in those areas. In regions with more extreme weather, expect to pay a lot more for utilities in drafty rentals. Factor in travel expenses. An off-campus bargain might not save you that much in the long run if you have to commute a long distance and budget for gas and parking (and parking tickets). If public transit is available, note how long the route between your rental and campus is before committing. Keep lease length in mind. While some off-campus units might offer academic year leases, others might charge a lease-breaking fee or another penalty if you live there less than the full 12 months. Also, if you do have a 12-month lease, divide the year’s total rent by 9 to reflect the actual price of living for an academic year. In picking our college towns, we looked at census-defined places with at least 45,000 people as of the 2016 5-year ACS in which at least 20 percent of the population identified as enrolled in college or graduate school. Estimates for on-campus housing costs were obtained directly from the websites of the largest college or university in each of these places and we excluded the cost of meals when possible. When not explicitly stated, the cost for a full academic year (9 months) of on-campus housing was calculated either based on monthly, or per semester rates given. To compare on-campus housing costs with off-campus market rates, we took the median estimated 12-month rent cost of all 2-bedroom units in an area, divided it between 2roommates, and divided it out over 9 months to match the academic year. So, for example, if the median rent of a 2-bedroom unit were $600 per month, that would be $7,200 for a year. Spread out over 9-months instead of 12 though, that works out to $800 per month and divided by 2 people is $400 per month. This was done for both the cities where these colleges and universities are situated as well asthe zip codes of the surrounding area. What are your favorite money-saving tips for getting the most out of your on- or off-campus budget? Let us know in the comments! 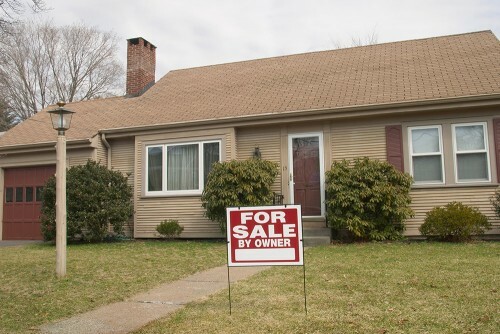 Just because you have a knack for peddling your goods on Craigslist doesn’t mean you should make the jump to the housing market. Search-engine sleuthing is worth the effort to unearth the niceties — and perhaps negatives — when searching for your new home. 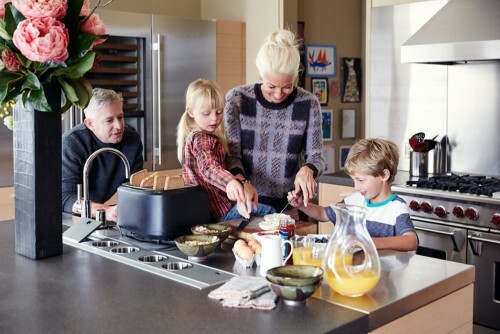 Multigenerational living has its perks — and also its challenges. 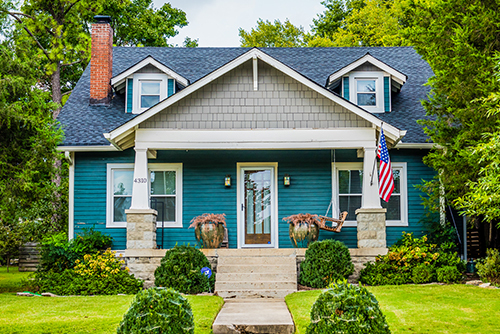 If you’re thinking of buying or renting a home in Nashville, read these tips from two new Nashvillians before you take the plunge.